Are you looking to pick up a great book to read this weekend? If you like a mix of finance and stories, here’s one for you! Last month I finally decided to dive into The Outsiders: Eight Unconventional CEOs and Their Radically Rational Blueprint for Success. I heard about the book many times in recent years and felt like this was becoming a classic I couldn’t ignore. It has been mentioned as a favorite of many high-profile investors and managers, such as Warren Buffett, Bill Ackman, Michael Mauboussin, and many others. You’ll like it if you want to learn about what makes a great CEO and what are the tools great CEOs use to enhance returns for their shareholders. Your goal as an investor, at least in the microcap space, should be to find great CEOs early because that will often equate with great stock performance in the long run. I felt like I was a bit of a better stock picker after reading the book! The author, William N. Thorndike, is the founder and managing director of Boston-based private equity firm Housatonic Partners. His journey researching The Outsiders started when he volunteered to give a talk at a conference organized for the CEOs of his firm’s portfolio companies. He decided the subject for his talk would be Henry Singleton, the former CEO of Teledyne Technologies and someone who built an outstanding reputation for his capital allocation skills. Thorndike recruited a young Harvard Business School student to help him do the research on Singleton, and the duo ended up working a whole semester on the Teledyne research. Over the next few years, Thorndike kept on studying other CEOs by partnering with Harvard students. 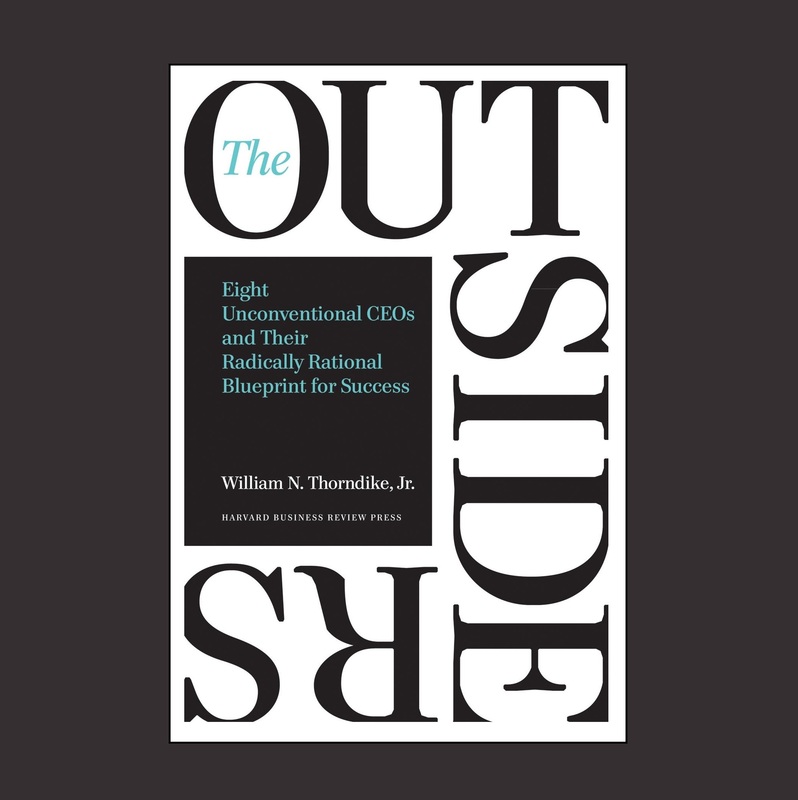 After finding a few more whose companies’ performance largely beat the S&P 500 and their peers, Thorndike realized that all the outstanding CEOs had some characteristics in common and decided to turn the idea into a book. They all largely beat the performance of the S&P 500 during their tenure, and they also beat the performance of Jack Welch at General Electric, considered by many to be the most successful managers in history. According to Thorndike, outsiders could be described as iconoclasts, people who don’t follow conventional wisdom and act contrary to established beliefs. Outsiders are not contrarians just for the sake of being contrarians; they identify areas in which divergence from the norm will enable them to generate superior returns for shareholders, even if Wall Street experts disagree (at first). The personalities of the eight outsiders weren’t extravagant, and they didn’t particularly like the outward-facing part of their role as CEOs. As Thorndike puts it, ‘’the outsider CEOs were also distinctly unpromotional and spent considerably less time on investor relations than their peers. They did not offer earnings guidance or participate in Wall Street conferences. As a group, they were not extroverted or overly charismatic.’’ On top of that, they were generally frugal and none of them ever had lavish company headquarters. When reading the book, I quickly came to realize that the eight outsiders had similar philosophies regarding the use of these tools. To raise capital, they made sure they ran profitable organizations and emphasized cash flow generation over reported earnings (the latter being Wall Street’s preferred metric). They used debt carefully and issued shares when they thought their stock was overpriced. To deploy capital, their two preferred options were to buy other businesses and repurchase their own shares when the price was attractive. One of the outsiders, Bill Stiritz, ‘’believed buyback returns represented a handy benchmark for other internal capital investment decisions, particularly acquisitions.’’ If an acquisition had favorable odds of generating higher returns than buying back stock, Stiritz would pull the trigger. Otherwise, it wasn’t worth doing. Another thing all outsiders had in common was their disdain of dividends. They thought dividends were an inefficient way to return money to shareholders because of tax considerations in the US. Instead, they would sometimes do large tender offers to buy back significant amounts of their own stock as a way to return money to shareholders. They did so infrequently and only when they thought it was the best use of capital. Although the last sentence might seem obvious, buybacks nowadays are so common and done on such a regular basis by companies that investors need to question whether that is really the best use of capital. You probably heard the expression before: cash is king. For businesses, cash flows are the ultimate determinants of the future value. That’s why the outsiders were not afraid to use debt (because interest payments are tax deductible) or depreciate assets aggressively to minimize reported earnings and shelter their precious cash flows from taxes. By paying fewer taxes, they had more cash flows to reinvest compared to their peers who focused on showing Wall Street good reported earnings. By reinvesting smartly, the outsiders were able to generate higher long-term returns for their shareholders. The outsiders were not willing to grow their companies at all cost to build a bigger empire. They didn’t focus on the absolute value of the company but rather on the value per share. That meant they were willing to sell some divisions when markets were booming and prices were high. They also shrank their companies by repurchasing a lot of stock when prices were depressed. Most CEOs in the book viewed themselves as capital allocators, not managers. They made sure their organizations were as decentralized as possible, with all the decisions pushed down to the people closest to the action. Letting good managers run the organization at a lower level allowed the outsiders to focus on what they did best: reinvest the cash flows. I highly recommend the book for anyone looking to improve his capital allocation skills. And by that, I don’t mean business managers only. Actively investing in the stock market is capital allocation. If you don’t want to miss any articles posted on the blog, I encourage you to subscribe to our free monthly newsletter. You will receive all our articles in one email at the end of each month! Simply click on the “Subscribe” button at the bottom of the page and enter your email address.